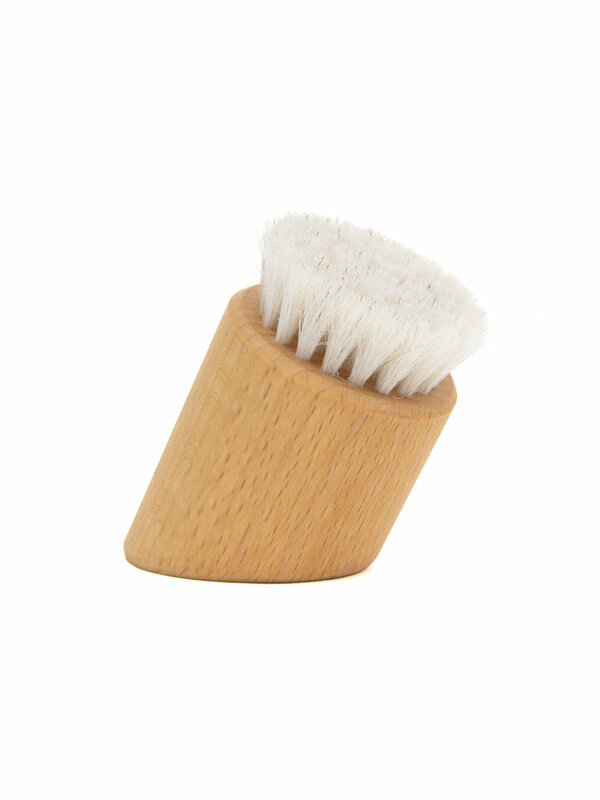 The standing face brush is super soft with clean modern lines. This design provides excellent drainage, and clean lines for the bathroom. Made with oiled beech wood and mane hair.